From the Beer Writer: There’s nothing like taking the first sniff of a beer and feeling fairly assured that you are in for a special experience. This recently happened to me when my olfactory receptors took in the essence of fruit and funk off the sturdily-netted, snow-white head of Song of Orpheus. 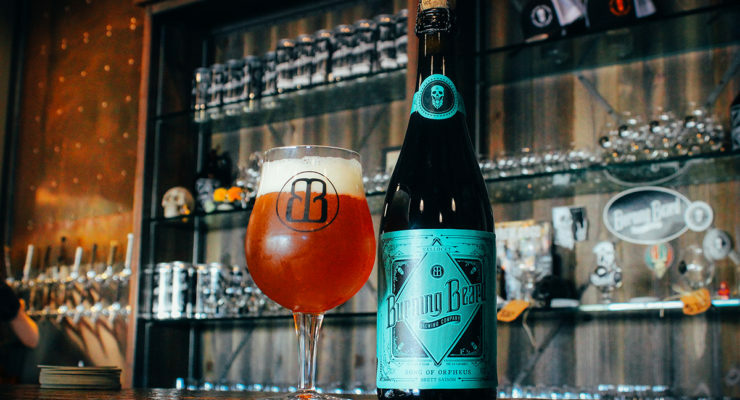 That wild ale, the first in the “Vellocet” series (a reference from the novel A Clockwork Orange) of beers from El Cajon’s Burning Beard Brewing, showed promise from the get-go, offering up varied, exotic aromas of straw, Bartlett pear and lemon thyme. It was an apt introduction to a beer with just as much diversity on the palate. Flavors of honeydew melon, strawberry and Sauvignon Blanc flit in and out against a lingering limestone minerality. The beer is bone-dry, well-suited for prolonged contemplation, and cause for anticipation of future releases from this fledgling series of beers.